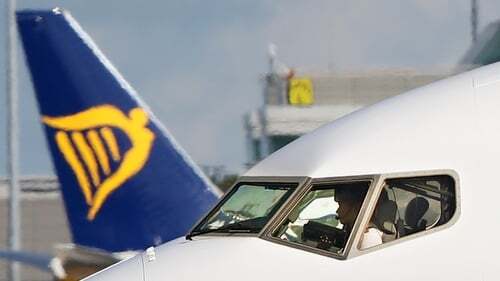 Ryanair cabin crew in Spain, Portugal, the Netherlands, Italy and Belgium are to strike on 28 September in the latest round of conflict between the airline's management and staff. However, the company has rejected suggestions that the industrial action will trigger chaos across its operations. At a briefing in Brussels, the unions revealed their plans for a 24-hour stoppage on 28 September. The unions accused management of ignoring the law and maintaining a "bullying culture". It said that following previous strikes, Ryanair is now writing "intimidating" letters to anyone that exercised their right to strike, threatening job losses and base closures. The unions called on Ryanair investors and shareholders to act at next week's AGM to "produce a real change to the employment model that exists in the company and is no longer tolerated by the employees". They say they will not back down until their demands - local law governing their contracts, local contracts and local standards - are met. They also note that their colleagues in Poland - where five Ryanair bases are located - have now unionised. The document is signed by the Belgian union CNE/LBC, the Portuguese union SNPVAC, UILTRASPORTI and FILT-CGIL in Italy, Spanish unions SITCPLA and USO, and FNV in the Netherlands. However, Ryanair described claims by Belgian union CNE that the cabin crew strike later this month would cause travel chaos or widespread disruptions as "false", "unfounded", "lurid" and "inaccurate". It said it expects that even if there is a limited cabin crew strike on 28 September, the "vast majority" of cabin crew across Europe will work as normal. The airline pointed out that during previous strikes in Ireland this summer, 75% of its Irish pilots worked normally, and that on each of the strike days, it completed 280 out of its 300 flights in and out of Ireland. It noted that despite yesterday's strike by some German pilots and cabin crew, over 70% of staff worked normally, and only 150 out of 400 flights were cancelled. "If there is a further unsuccessful cabin crew strike on the 28 September next then, as we demonstrated in Germany yesterday, Ryanair will pre-advise customers of a small number of flight cancellations," Chief Marketing Officer Kenny Jacobs stated. "The overwhelming majority of Ryanair's flights and services that day will operate as normal, and we will carry the overwhelming majority of the 400,000 passengers who will be scheduled to fly with us that day," he added. A recent threat of 300 job losses and the transfer of six planes to Poland from Dublin was rescinded after Ryanair and the Irish union Forsa reached an agreement following five days of strike action. Meanwhile in an unusual move, Ryanair has banned the media from next week's AGM, and will not be giving any media briefing afterwards.